Christy Award-winning author Robert Whitlow is a practicing lawyer acclaimed for his legal thrillers. 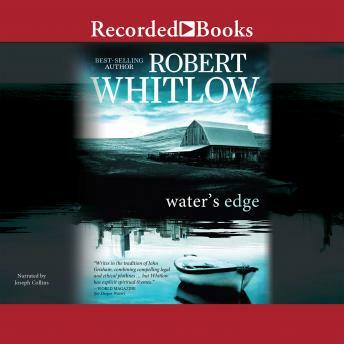 In Water's Edge, hot-shot Atlanta attorney Tom Crane is poised to become a partner in his firm when his father dies in a boating accident. Then on that same day, he loses his job and his girlfriend, as well. Returning to his hometown to close out his father's smalltown legal practice, he uncovers a hidden stash of two million dollars. Soon he finds himself entangled in a web of intrigue and murder that endangers his life-and drives him to his knees.